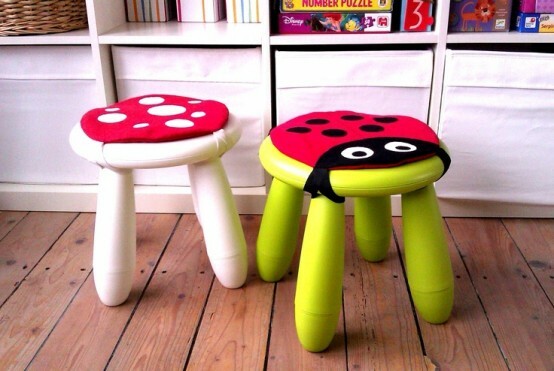 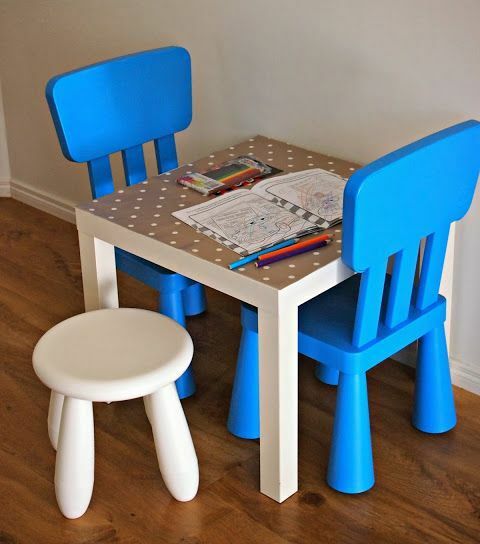 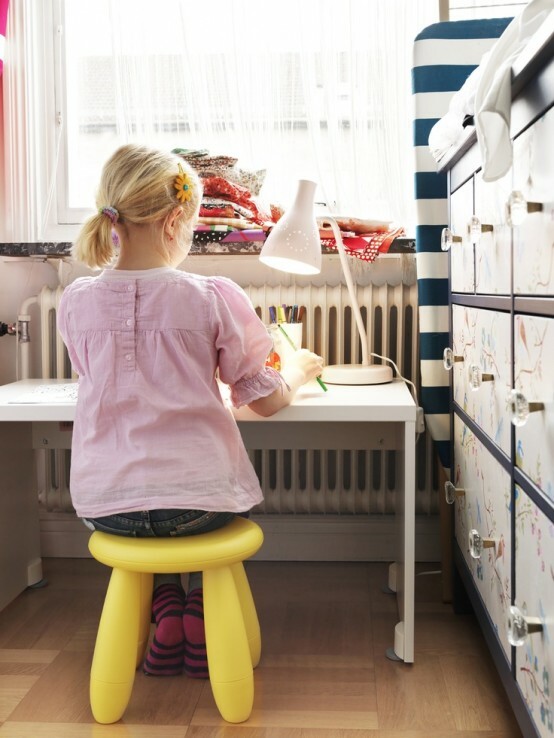 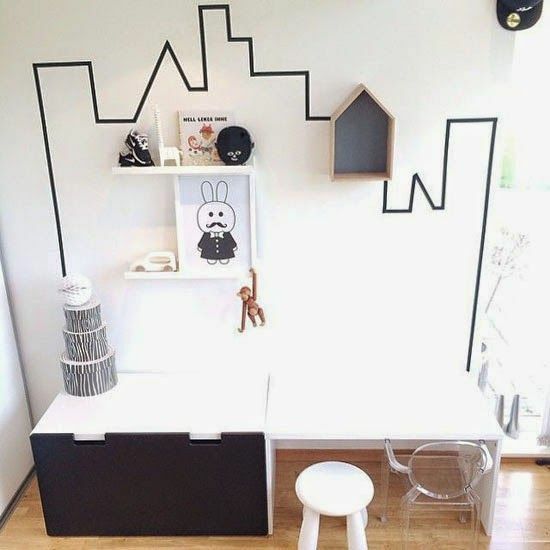 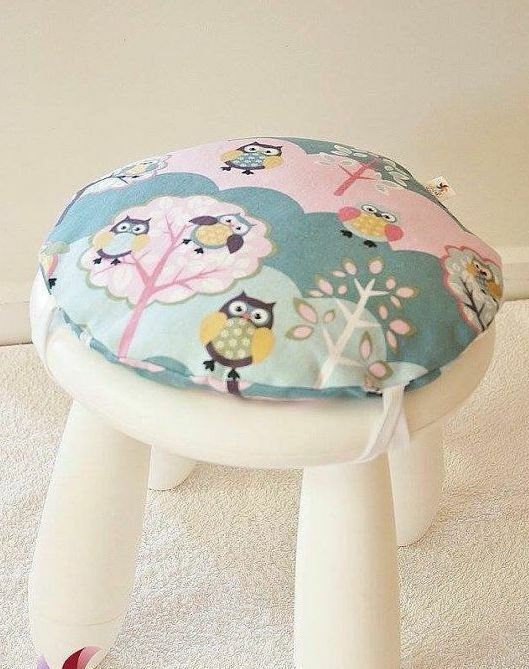 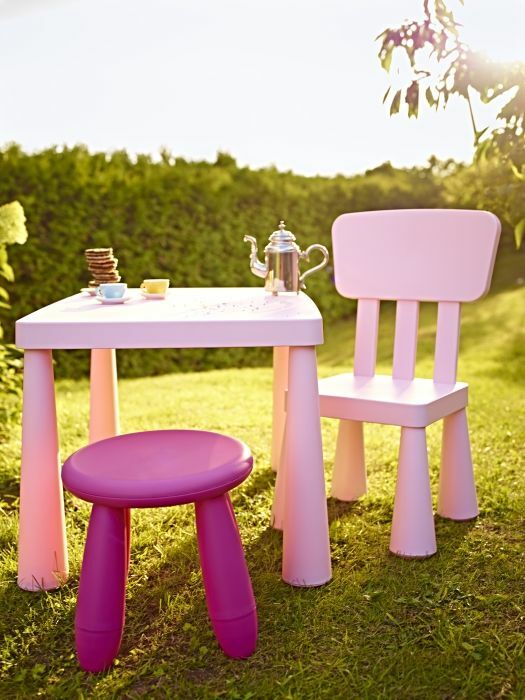 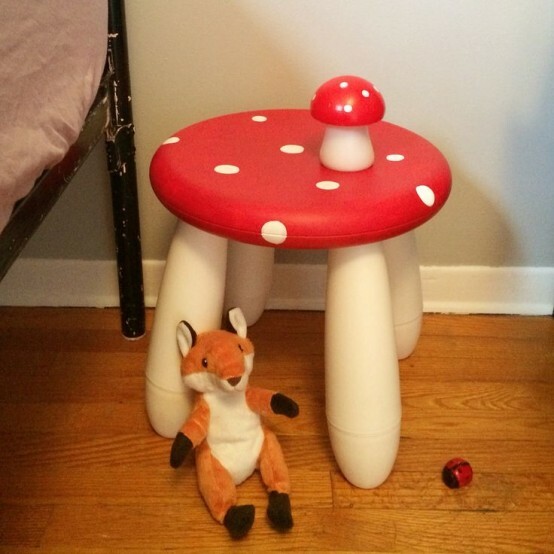 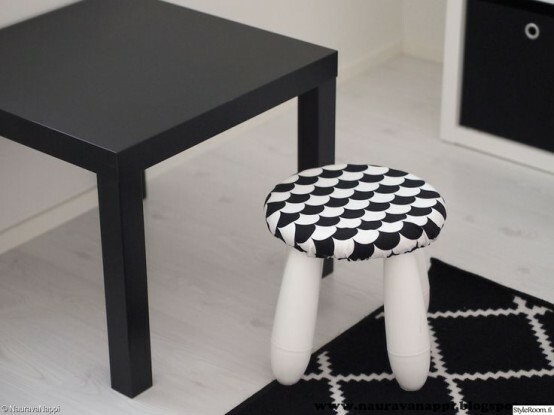 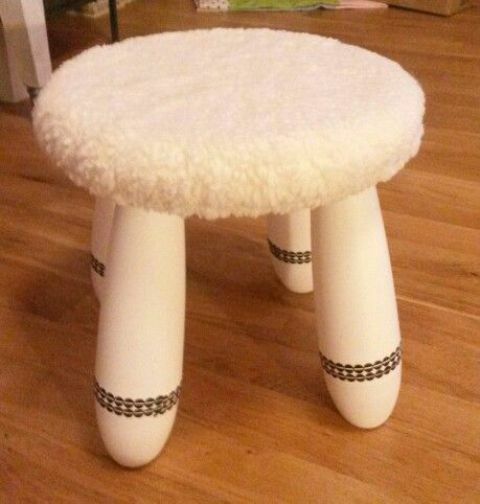 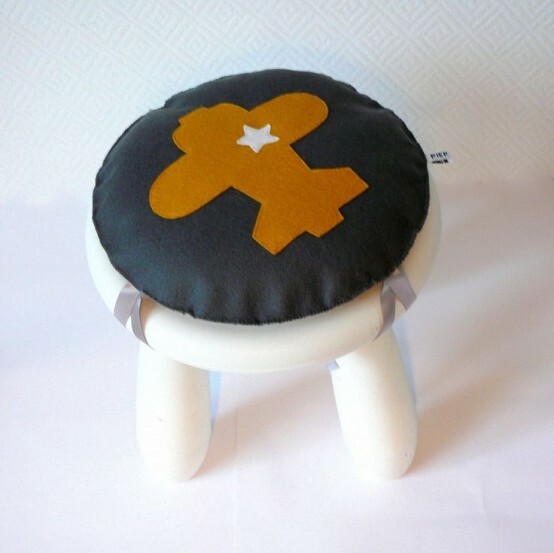 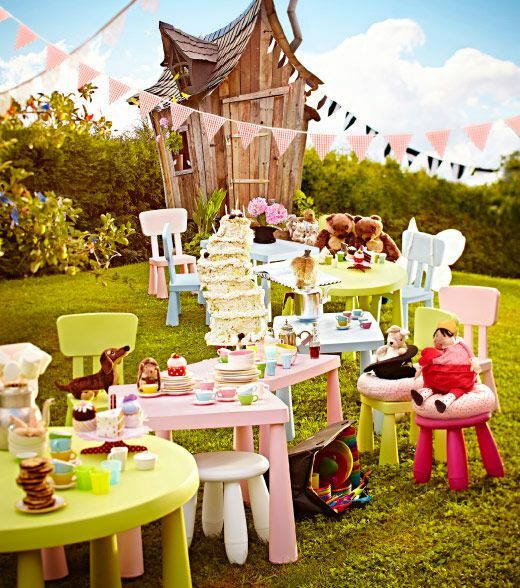 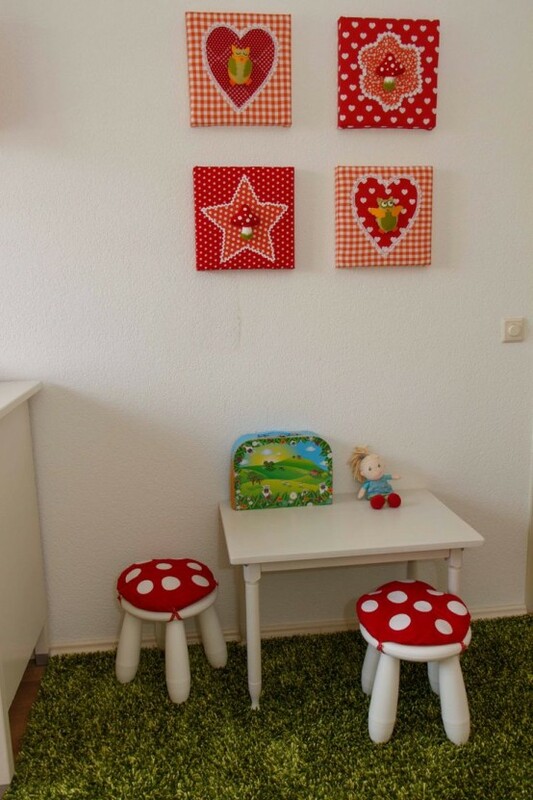 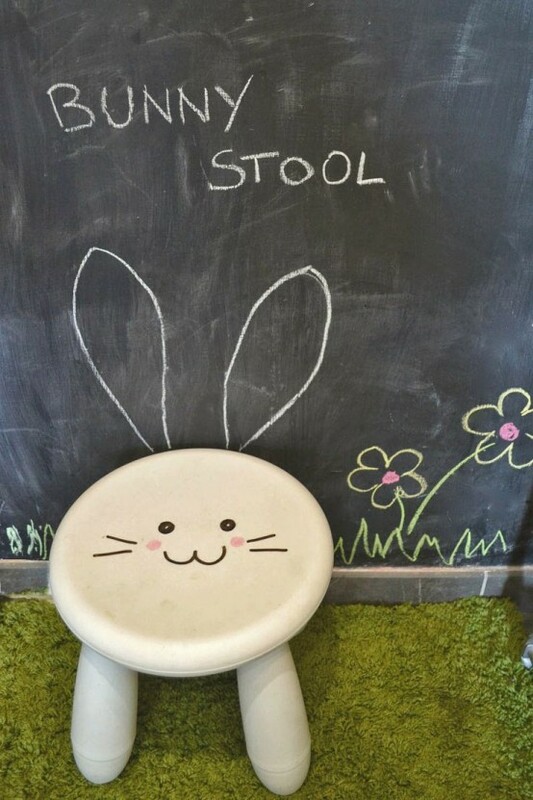 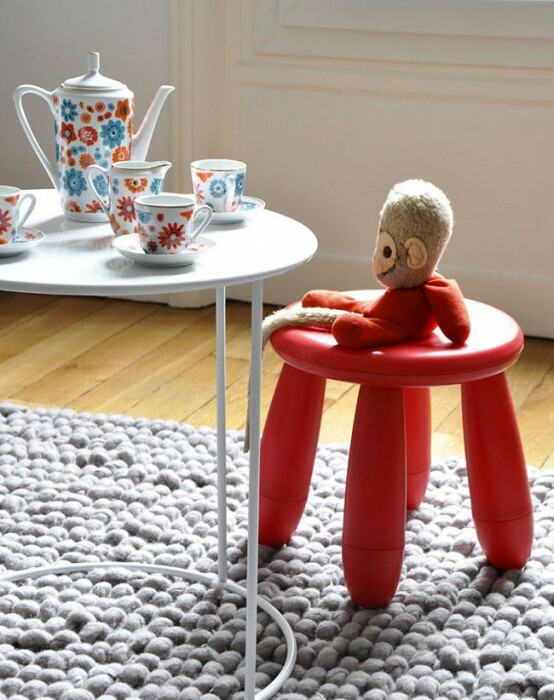 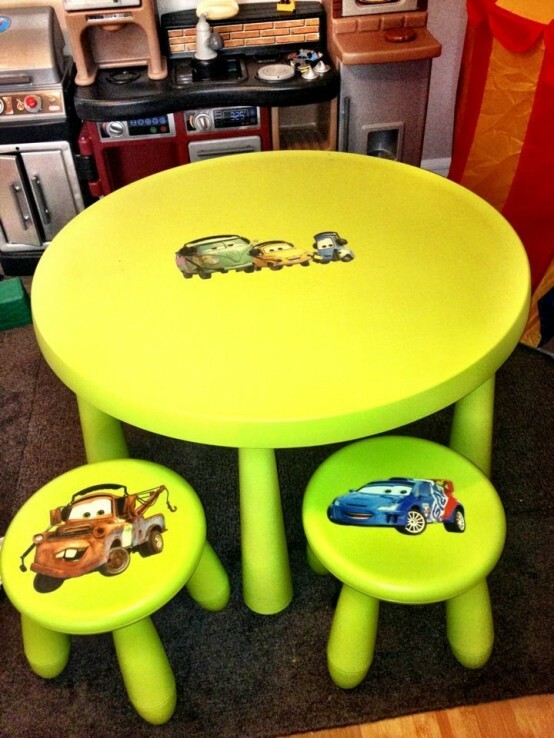 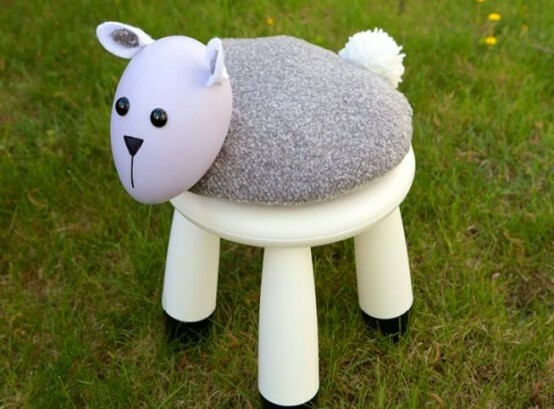 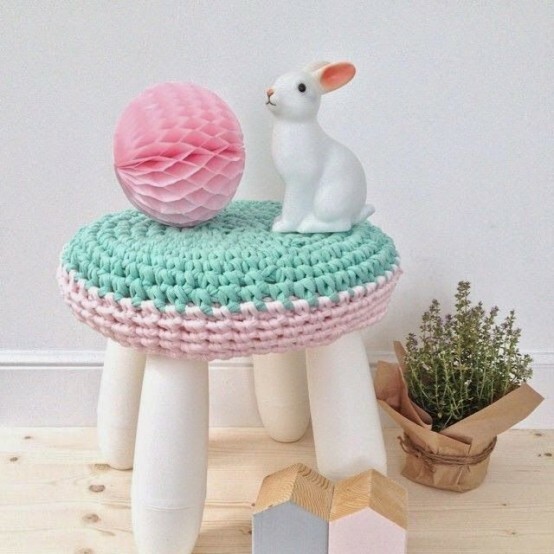 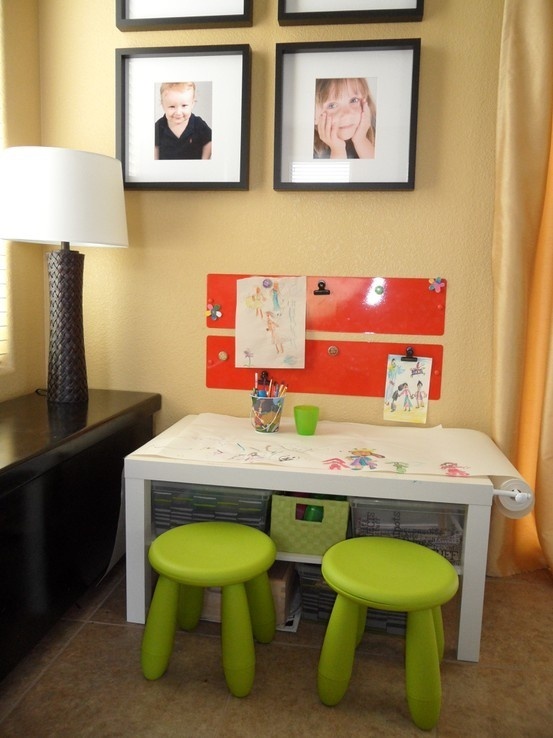 IKEA Mammut furniture is made for children, and today I’d like to share some Mammut stool ideas. 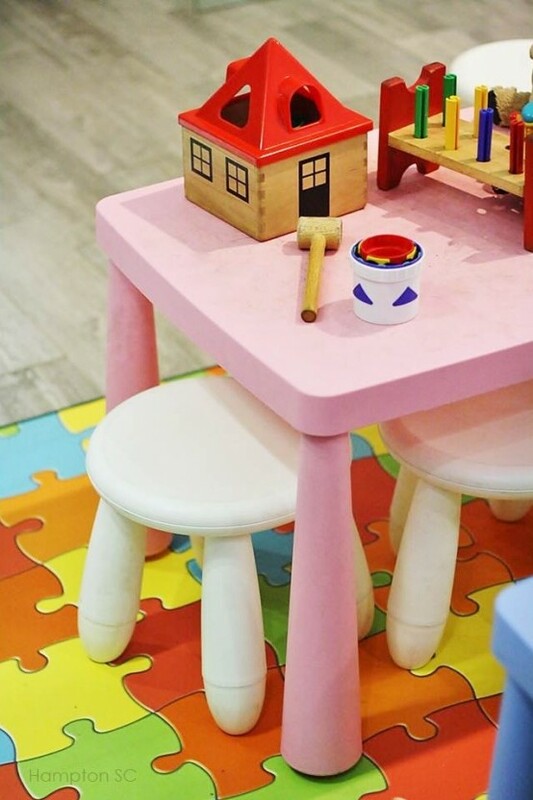 It’s made of plastic which makes it easy for children to carry and move and also perfect for outdoor use since it is made to withstand rain, sun, snow and dirt, a perfect children’s item, ha? 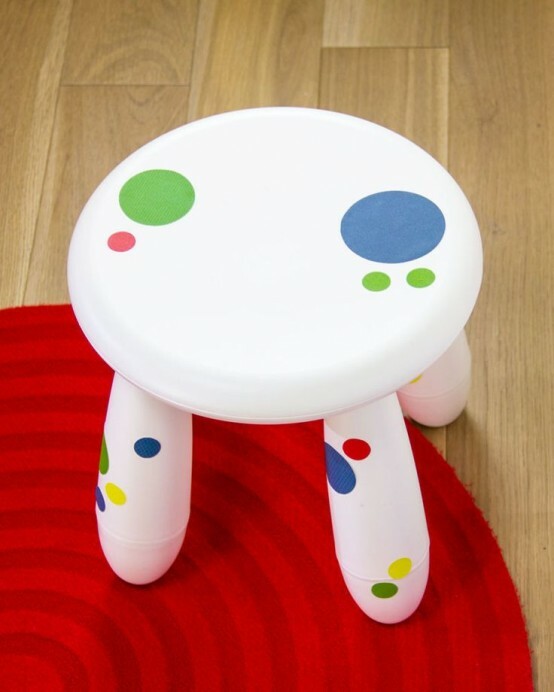 You may still hack and personalize it a bit with some stickers, spray paints, stencils or make a cover. 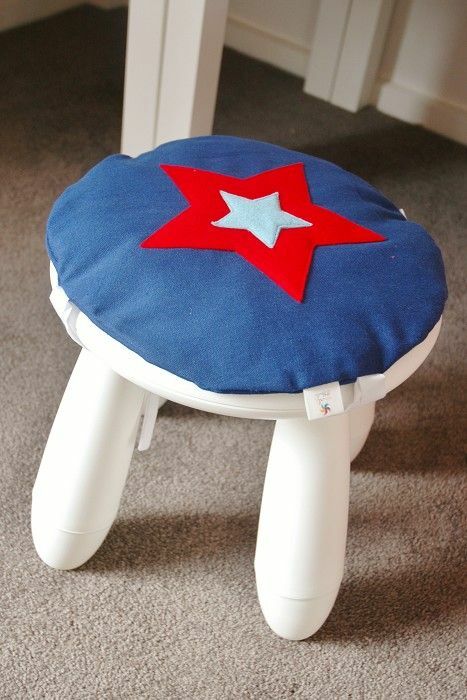 A cover can be with some Super Hero theme, cartoon theme or just a fur or knitted one to keep your kid warm and cozy. 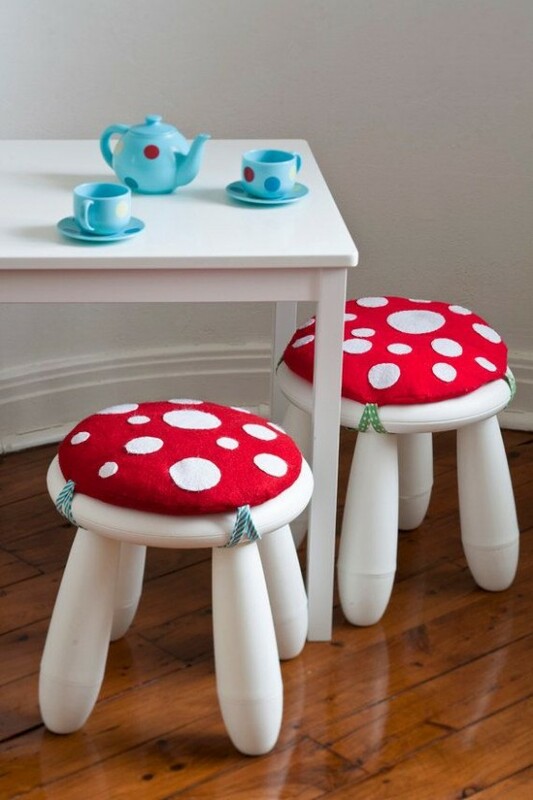 Enjoy the ideas below and have a look at Mammut DIY hacks here.